Just One W.I.P: I'm so excited and I just can't hide it! Well, this week has had a lot of ups and down. Well, maybe lots of downs (we missed out on a house we would've loved to end up living in along with other things I won't mention here) but thankfully there's always been a light at the end of the tunnel that is this week. Tomorrow I jump on a plane (hopefully...it is flying Jetstar *gulp*!) and will be winging my way to Auckland to catch up with some fabulous friends who I heard were getting together for a bit of yarn dyeing and crafting. Not someone to be impulsive unless it involves yarn and 1 day specials, it was most unlike me to book tickets to go too, but I'm really glad I did. No backing out or changing my mind when I've already coughed up the dosh! But the people I'm going to catch up with and many meet for the first time has me a little excited. And nervous...though I sure hope everyone thinks I'm not some weird freak or something. And then there's going to be the child free time. Oh my, how I am looking forward to sitting on the plane and listening to an audiobook whilst I knit. SO looking forward to it. Last time I was meant to have some 'childfree' time out, I took along my bebe on a retreat, who development bronchiolitis very quickly and we ended up having to leave and then spent 4 nights in hospital with him. I think that's why my husband didn't blink an eyelid when I asked if perhaps I could get away for 24 hours this weekend. Meeting me at the airport is going to be the most fabulous Emma of Olive & Emma designer yarns. I've been meaning to blog about Emma and her most stunning yarns for so long that maybe I'll write a blog entry to go up over the weekend whilst I'm away...I feel terrible it's still just a blog post in my head! I'll be staying at Jo's place too, she's a wonderfully talented crafter and dyer too of Jodulbug Creations! And what happens next I'm guessing will involve a fair bit of gas-bagging and hopefully laughing, some drinking, eating, maybe some yarn dyeing and knitting, perhaps a little bit of sleeping and then me catching a flight back, tired - but rested if that makes sense. Have an awesome time Julia. I am super jelly of your weekend away and you so deserve some 'you' time. sorry to hear about that house - that is always a bummer ;( But, super duper exciting about the trip! 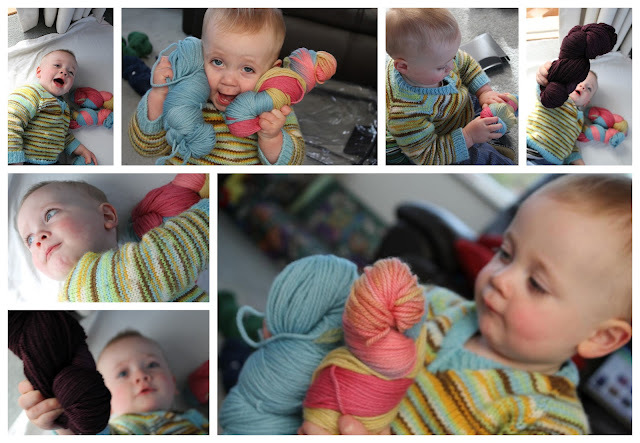 In fact I am fantastically excited to hear that knitterly things are happening in Auckland!!!!! I might be living back there in the next couple of years.... YAY!!! Wellington's the place to be ;) Sezza and I bth live in Wgtn - but yes, there's lots of lovely knitters/crafters in Auckland too!Loads of them! Have a great time J, you deserve it, looking forward to hearing about it on Tuesday! yeah baby - what fun!!!!!!!!!!!!!!!! Have a wonderful time! Hopefully we will put the weather on for you.